1. Know your budget. Never buy a car until you’ve figured out what you can afford. Sit down, look at your expenses and income, and then come up with an affordable monthly payment or a cash price limit. Pro Tip: Stick to the budget! If you go over, you might regret it. How you feel about features like leather seating, a sunroof/moonroof, or an in-dash infotainment system. 3. Give yourself permission to buy a used car. While there are plenty of situations where buying (or even leasing) a brand new car makes sense, buying a used car is almost always a good way to save money. If the brand you want to buy isn’t on this list, don’t say we didn’t warn you. To learn more about vehicle reliability, check out Consumer Reports and/or JD Power. 5. If you’re buying a brand new car, buy it from a dealership. Get your price via Edmunds or TrueCar. Edmunds has a True Market Value (TMV®) that’s a highly reliable metric for new car pricing. TrueCar is great for finding pricing too. Both Edmunds and TrueCar has a process for getting your car price before you ever visit the dealership – no negotiation is needed, and the prices are almost always good. Also, car brokers don’t add any value. Don’t mess with them. 6. If you’re buying a used car, be extremely cautious about buying from a private party. 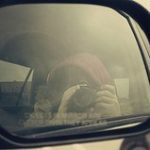 Almost all of the criminal activity related to cars (selling stolen property, selling vehicles with rolled back odometers, fraudulent titles, etc.) is committed by someone offering a “too good to be true” deal on Craigslist or eBay. Read this post to learn how to spot a deal that’s too good to be true. 7. If you’re buying a used car, get it inspected by a professional. Just about any repair shop will inspect a car. If you can hire an inspection service, even better. 8. If you’re buying a used car, lookup pricing on KBB.com. While used car pricing is hard to determine, KBB is a good place to start. It’s also a good idea to study the market for a few weeks before buying, if you have that luxury. 9. Get pre-approved for vehicle financing through your credit union. If you don’t belong to a credit union, join one (Alliant Credit Union is open to anyone). You don’t have to use the credit union’s loan, but it’s a good idea to get pre-approved so you can figure out what kind of terms you qualify for. That way, you can compare the credit union’s financing to whatever the dealership offers you. Only shop at dealerships that have “one price” policies, as they tend to have the best customer service. Visit your local CarMax or EchoPark. These are both national used car dealership chains with fantastic customer service. 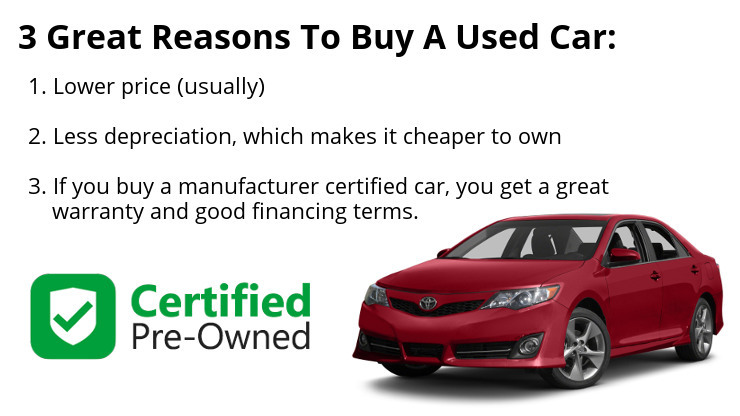 Buy a new car or a manufacturer’s certified used car. You don’t have to worry about buying a lemon that way.